Upgrade points for USAC road licenses are awarded for road races and criteriums (“mass-start” events) only–time trials do not qualify. Please read the USA Cycling Category Upgrade Information. 12-month racing resume with race names, race dates, category raced, field size, placing and rider’s mailing address. The preferred method of requesting an upgrade is via the USA Cycling site and your request will be directed to the KCA Upgrade Coordinator. Upgrade requests may also be submitted to the KCA Upgrade Coordinator Ken Whiteside kenwhiteside1@gmail.com. For more information about upgrade qualifications, read USA Cycling Category Upgrade Information on the USA Cycling website and contact the KCA Upgrade Coordinator Ken Whiteside kenwhiteside1@gmail.com. 2013 Upgrades from 8.28.13 through 10.28.13 are here. 2013 Upgrades from 8.3.13 through 8.27.13 are here. 2013 Upgrades from 6.8.13 through 8.2.13 are here. 2013 Upgrades from 1.1.13 through 6.7.13 are here. Upgrade points for USAC road licenses are awarded for road races and criteriums (“mass-start” events) only–time trials do not qualify.Starting in 2006, USAC cyclocross upgrade points are awarded for results in cyclocross events only. 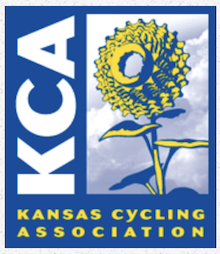 KCA upgrade guidelines permit riders to receive 50% of the normal upgrade points for participation in races that fail to meet minimum field size requirement but have at least 50% of field size requirement. Please read the USCF Categorization Guidelines. The preferred method of requesting an upgrade is via the USA Cycling Website. Your request will be directed to the KCA Upgrade Coordinator. For more information about upgrade qualifications, read USCF Categorization Guidelines.